If we look at cities on a neighbourhood level, it is obvious that the citizens know their own environment better than anyone else. The Belgian Demo Case builds on this local knowledge to improve the quality of environmental data and enhance the discussion between all stakeholders in Flanders. Climate change, urbanization and associated land use changes put pressure on the quality of our environment. Traffic and industry impact air quality and ambient noise. Infrastructure developments affect water management and heat stress in cities. New parks offer opportunities for recreation and enhance biodiversity. The state of the environment maps prepared annually by the EU member states provide a valuable insight on the status of the environment on a regional to urban scale. However, in many cases the detailed information on the environment, provided at the scale of a city neighbourhood, is fairly limited. Local information from citizens living and working in these neighbourhoods could be significant contributors to improvement of the detail at neighbourhood level. Within Ground Truth 2.0, VITO together with the GT2.0 partners will launch a platform where citizens can share their environmental observations. To get datasets with sufficient geographical and temporal consistency, we’ll follow the approach of launching campaigns at a city scale. The platform will be available for all Flemish citizens to share observations or perceptions and plan together their own campaigns. Continue reading under photo. 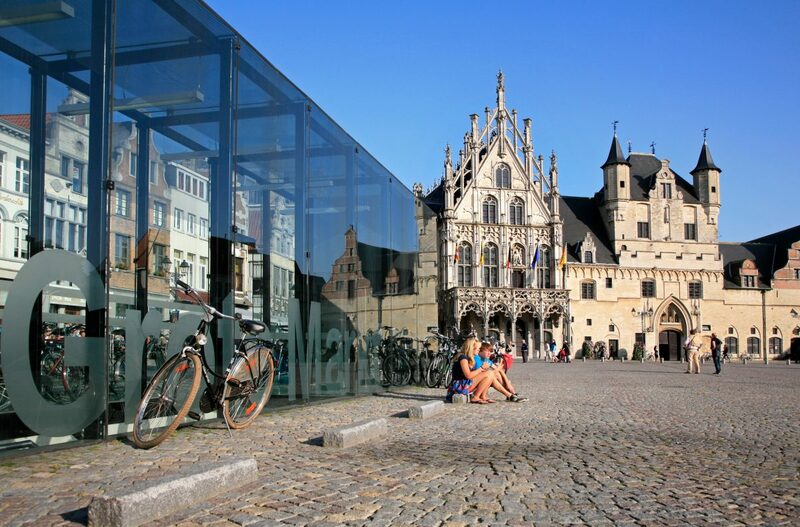 The lively city of Mechelen, a mid-size city in the heart of Flanders, joins the project as a pilot city. Citizens, environmental organisations, decision makers and scientists met as a first step in a co-design group to set the goals, boundary conditions and expectations of the citizen observatory. During the first group discussions, air quality and noise were selected as environmental topics to focus on. Considering the high level of local concerns regarding the elevated air pollution levels, air quality is currently at the top of the environmental agenda. Mechelen has plans to introduce a Low-Emission-Zone in 2018 which would ban the entry of highly polluting vehicles into the city. Noise is another major concern due to its impact on the quality of life for citizens living close to traffic or industry. But the challenge is trying to get a good picture of the local situation. In the co-design meeting scheduled in May 2017, we’ll finish the overview of what is already happening in the city. Which different views on the current situation exist? Why is it happening? What can we do to get a better view on air quality and noise? Together, we’ll plan the design of the platform, how to launch a suitable city campaign and how to test its performance. Our ambition is to demonstrate for Mechelen how a citizen observatory can be established and the valuable data it can offer. In a later phase, we‘ll scale up to the full Flemish region. As Ground Truth 2.0 is active in six regions in Europe and Africa, by combining the experiences and achievements from all regions we can prepare best practices for launching citizen observatories and how they can be successful in the long run. This blogpost was written by Stijn Vranckx from VITO. The project partners take turns. Come back next month for a blog by HydroLogic!